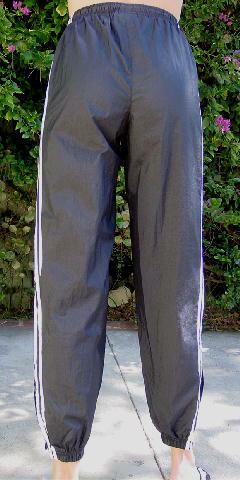 These 100% black nylon warmup pants are by adidas. They have 3 white stripes down the side and 9 1/2" long outer seam bottom zippers. 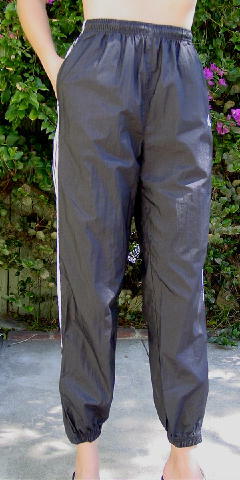 There is elastic around the leg bottoms and 1 1/8" wide elastic waistband. They have side seam vertical slash pockets and an embroidered adidas and logo on the left upper side. The tag says size M, but it fits more like a size Small. They belonged to a former model.